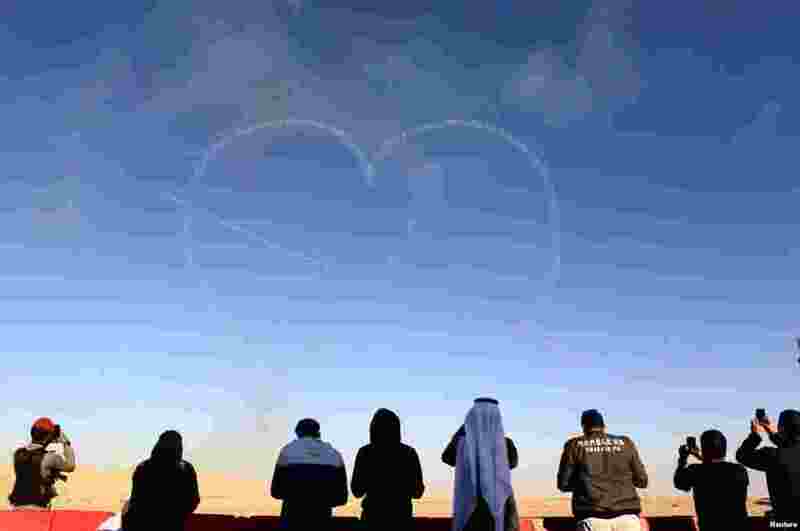 ١ People watch as aircrafts perform during an airshow at Saudi Aviation Forum at Thumamah airport, in Riyadh, Saudi Arabia. 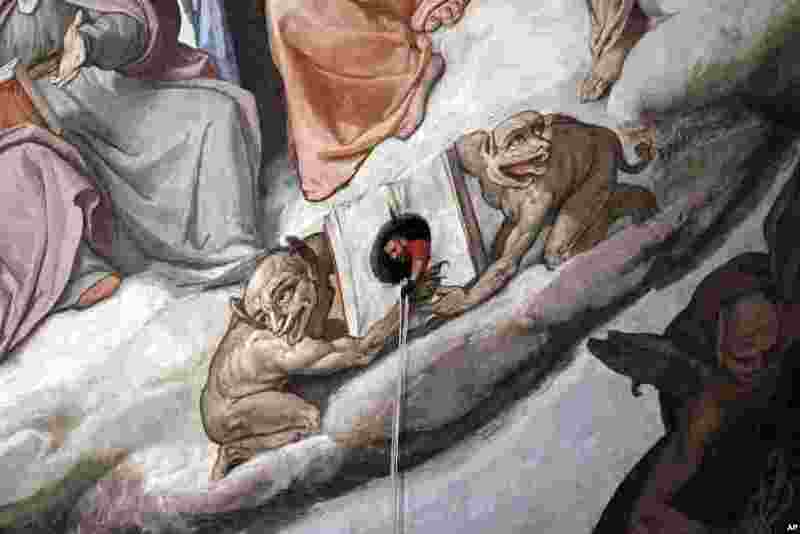 ٢ A technician inspects the frescoes of the 15th Century Brunelleschi's dome of Florence's Santa Maria del Fiore Cathedral, during a scheduled monitoring program. 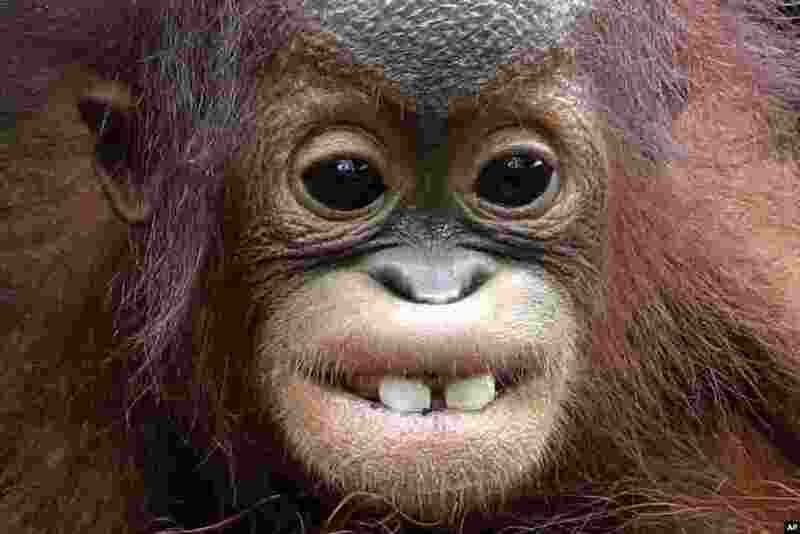 ٣ Khansa, an eight month old critically endangered Bornean orangutan shows off it's two front-teeth, at the Singapore Zoo in Singapore. 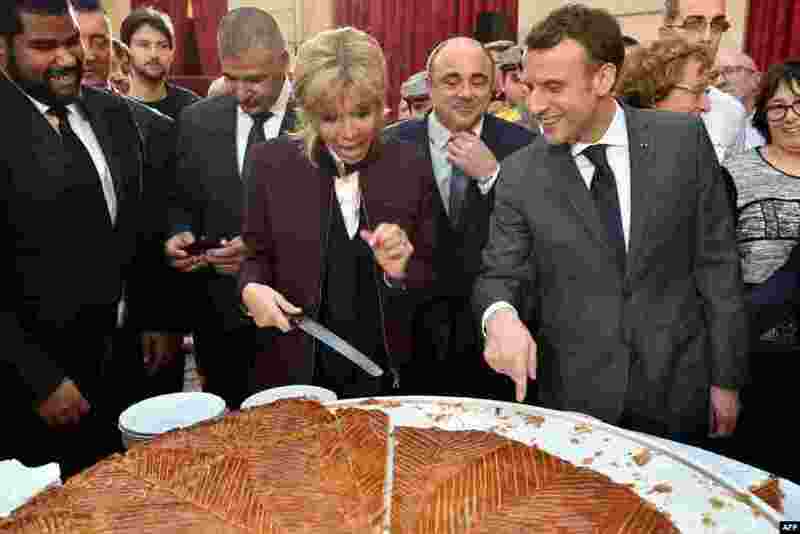 ٤ French president Emmanuel Macron and his wife Brigitte cut slices of a traditional epiphany cake during a ceremony at the Elysee palace, Paris.